This is the other version and I would argue it blows the vinyl away. Other than the (fundamentally) same tracks that appear on the LP, this also includes a gloriously ramshackle collaboration with Tony Conrad. 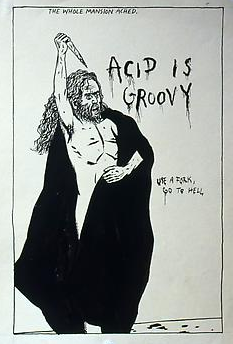 As though this is not ample, there is also the majority of the film soundtrack of Ira Cohen's "The Invasion Of Thunderbolt Pagoda" by the Universal Mutant Repertory Company (who on this occasion are Angus MacLise, Henry Flynt, Jackson Mac Low, Loren Standlee, Raja Samyana, Tony Conrad and Ziska Baum). CDr given away courtesy of Boo-Hooray in 2011. Thanks for the dreamweapons and Die Schachtel stuff! Dreamweapon II from vinyl and CDr - what sort of madwo/man are you!? 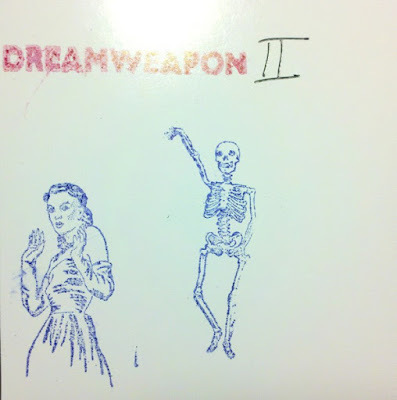 Is it being too greedy and/or spoiling the plot to wish for dreamweapon IV?